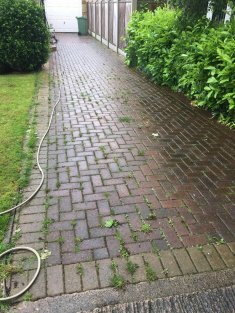 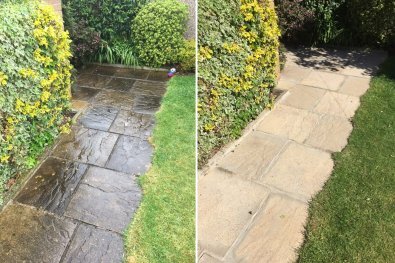 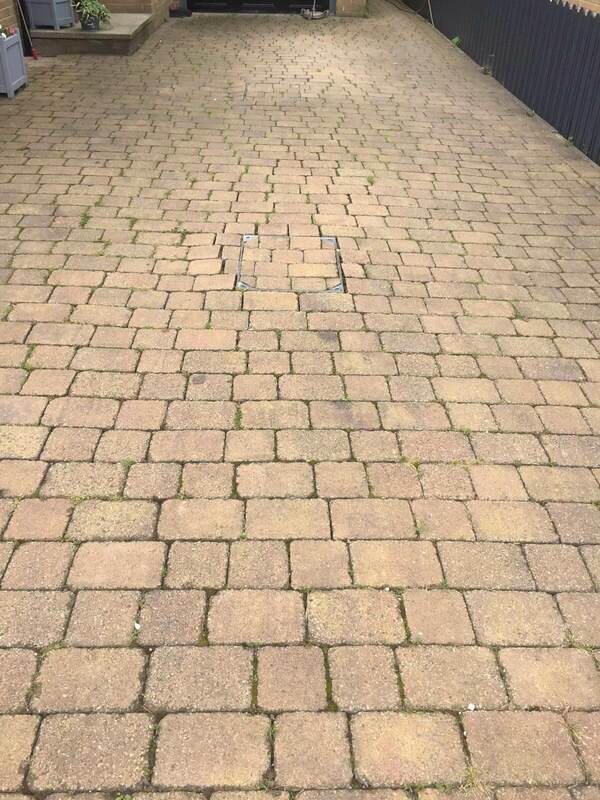 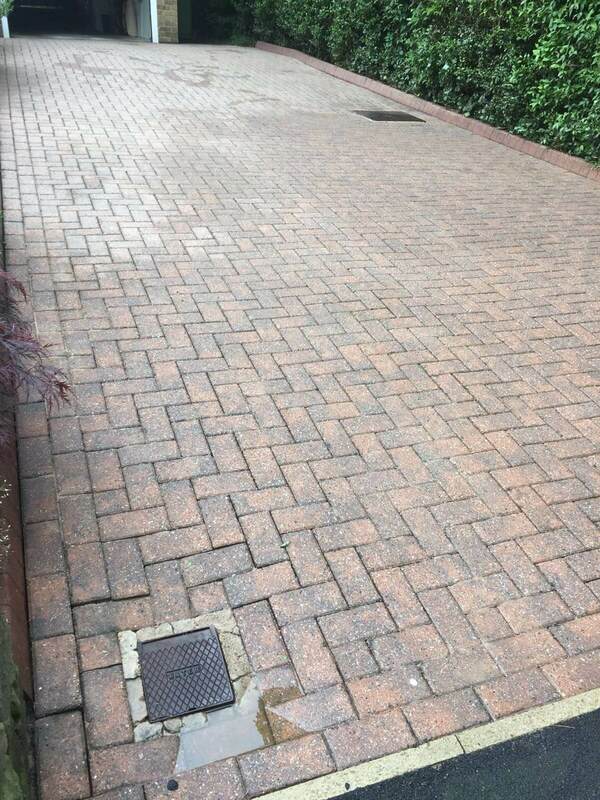 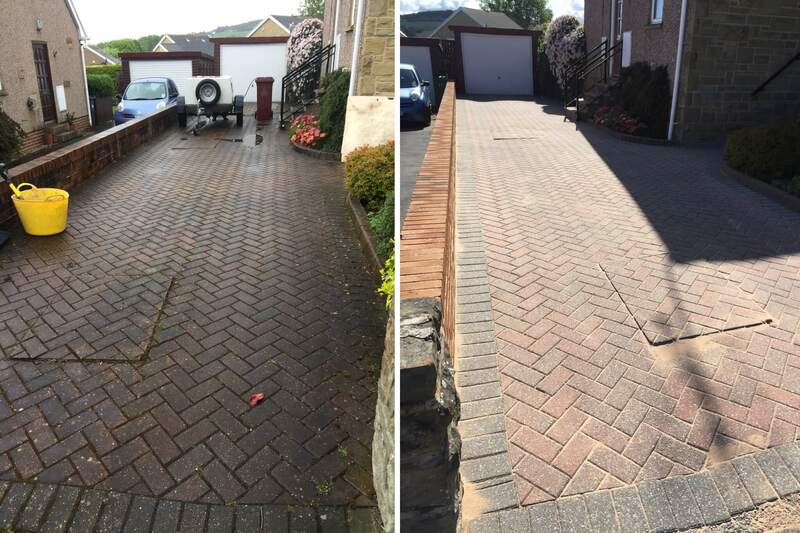 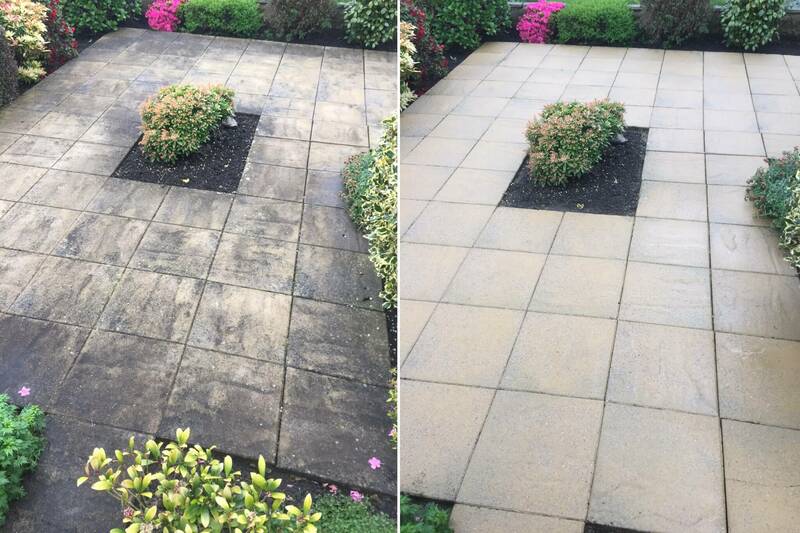 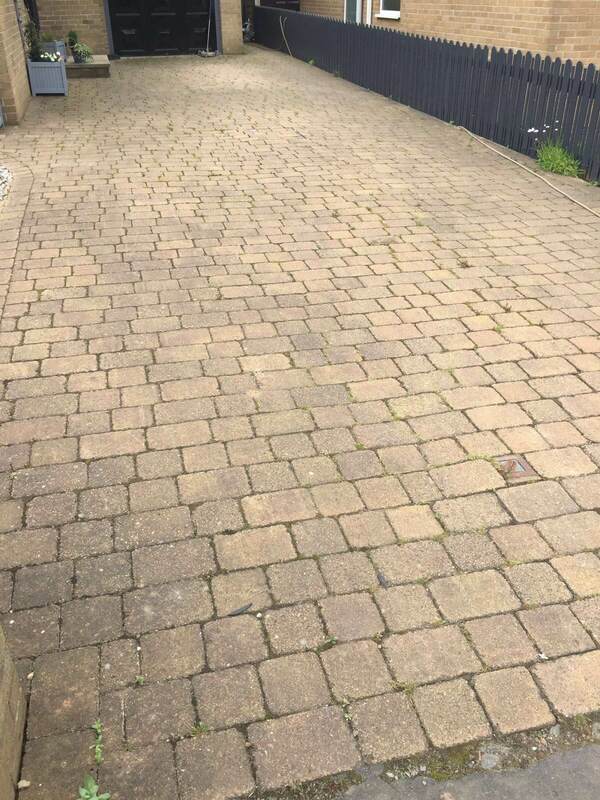 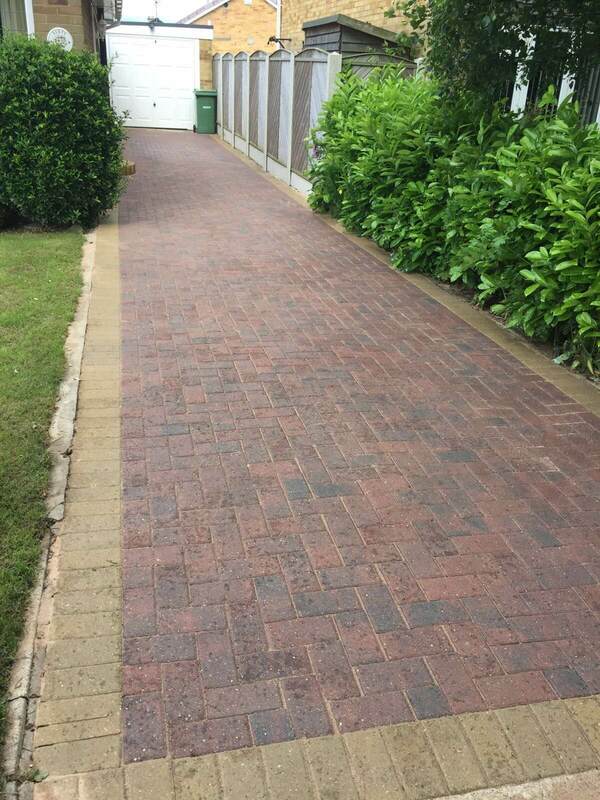 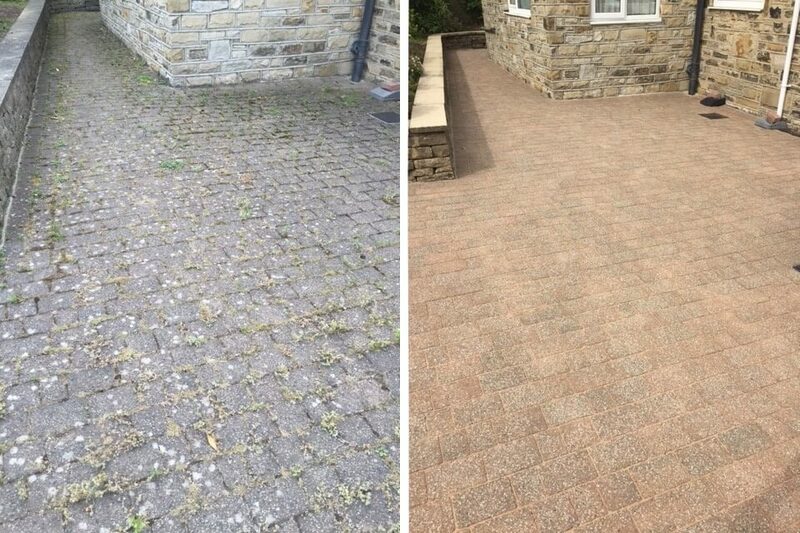 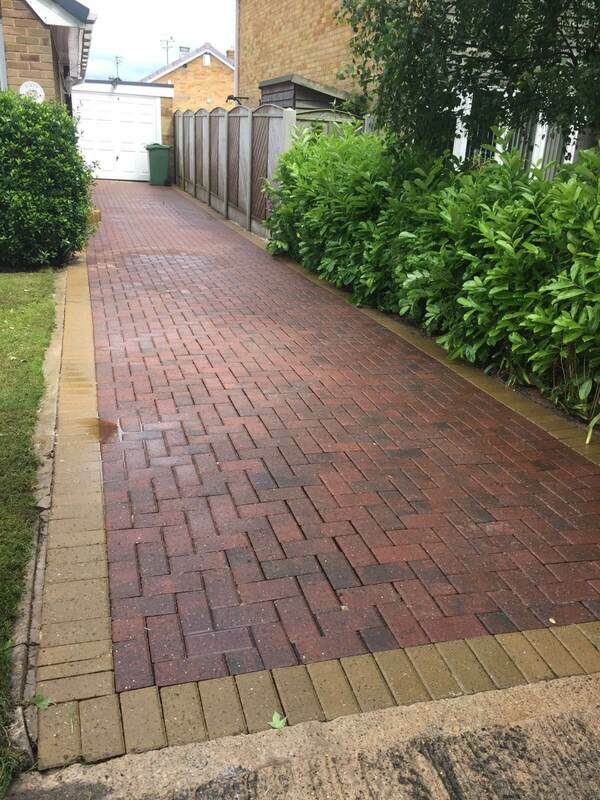 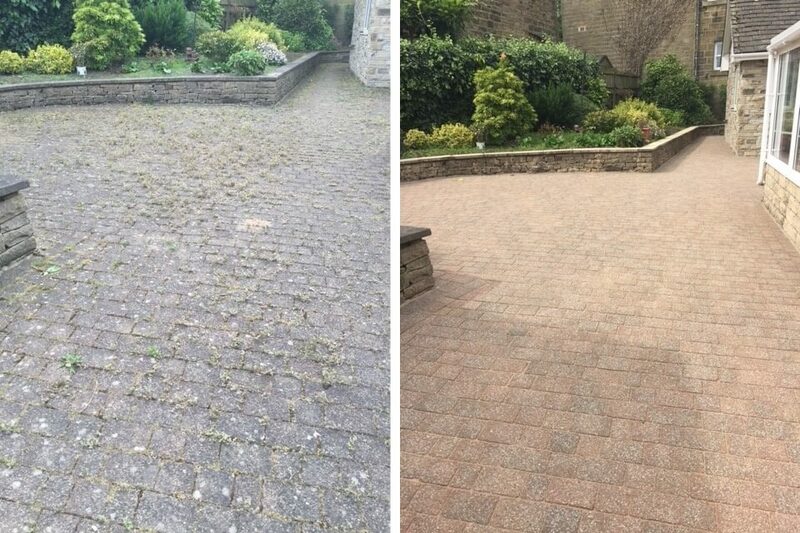 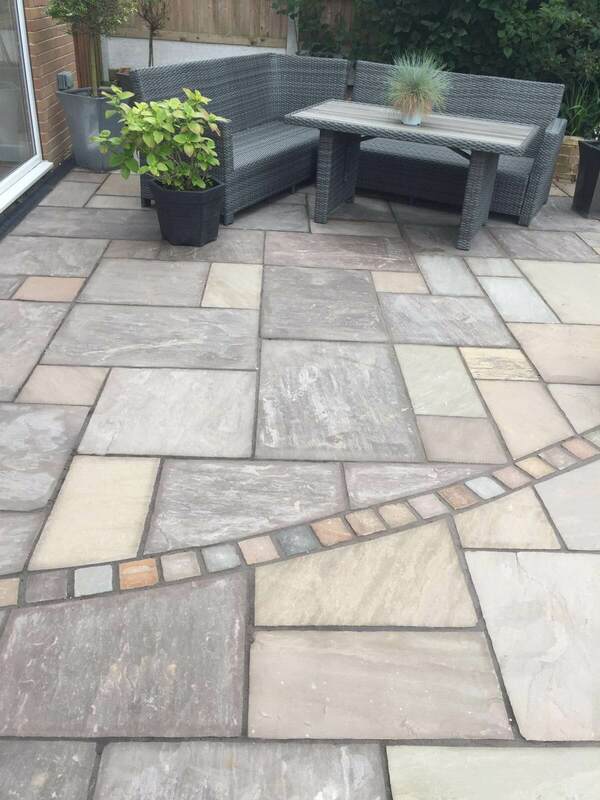 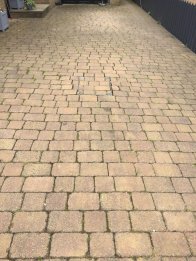 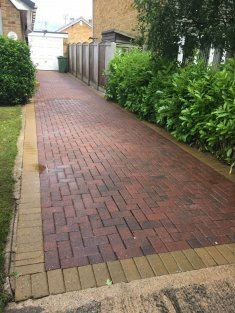 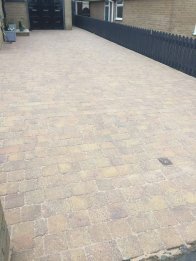 We provide professional driveway, path and patio cleaning services that can remove weeds, moss, lichen, algae and black spot. 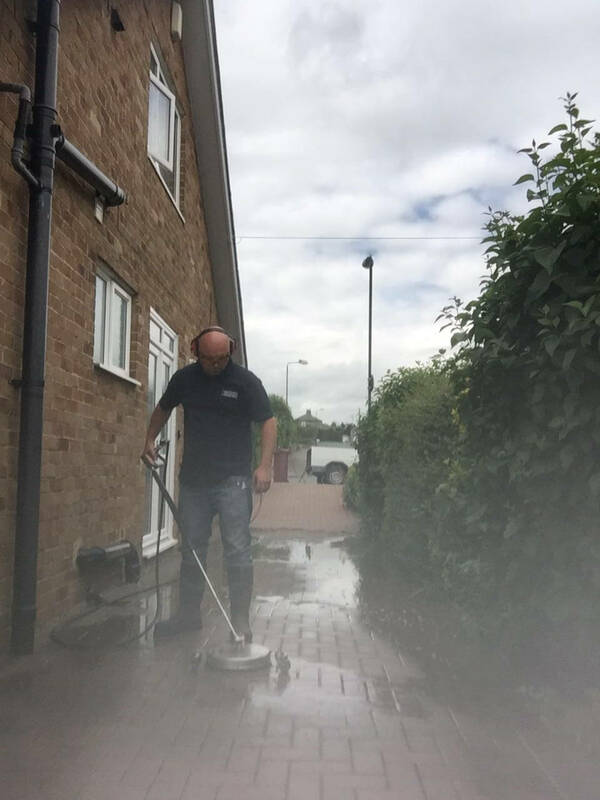 To keep up to date with our latest exterior cleaning services follow us on Facebook by clicking here. 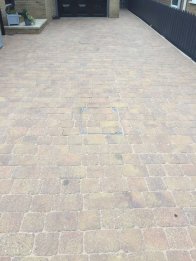 We start by applying a pre-chemical treatment to soften up dirt and grime before the surface is cleaned using a high pressure flat surface rotary cleaner. 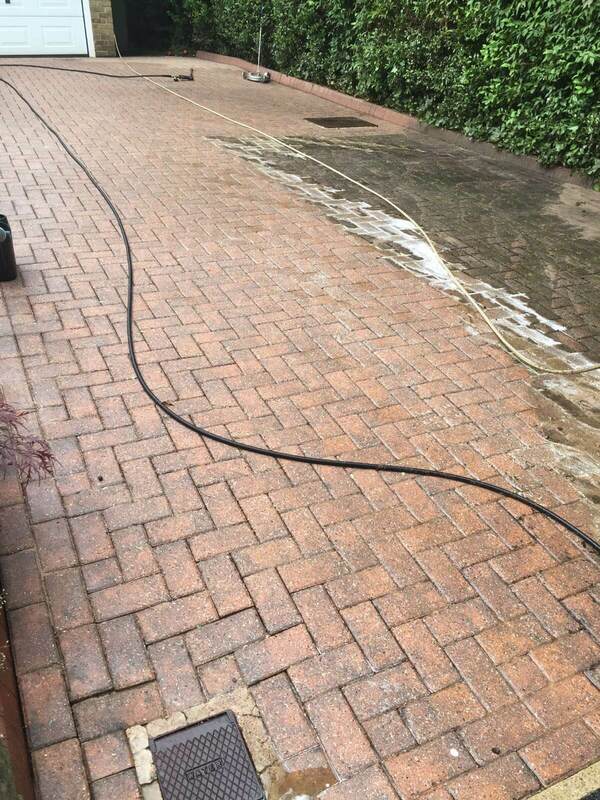 Our cleaning equipment operates at a pressure of 250 bar & 15 litres per minute flow rate. 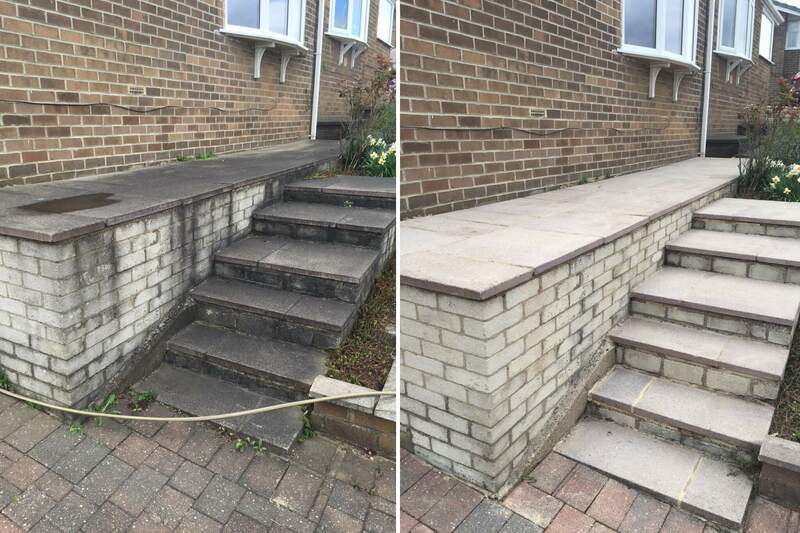 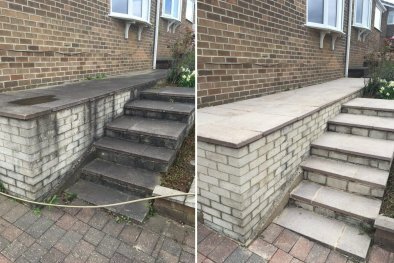 This system is far more effective than domestic pressure washers, and can eliminate unsightly lines caused by jet washing. The system is equipped with a boiler that can turn cold water into high pressure steam removing chewing gum and most oil based stains. 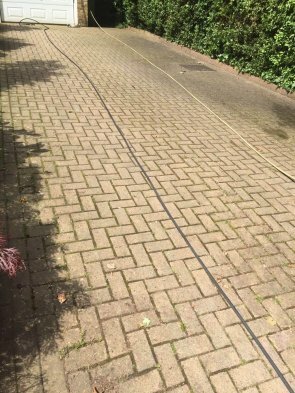 Once the surface area is cleaned it is washed down with a turbo lance removing any stubborn weeds left behind by the initial clean. 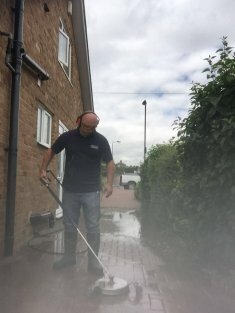 The surface area is then given a low pressure rinse down before being chemically treated with industrial strength weed killer which is applied using a professional knapsack sprayer. 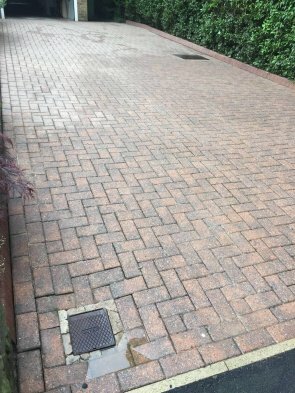 All waste is then removed off site. 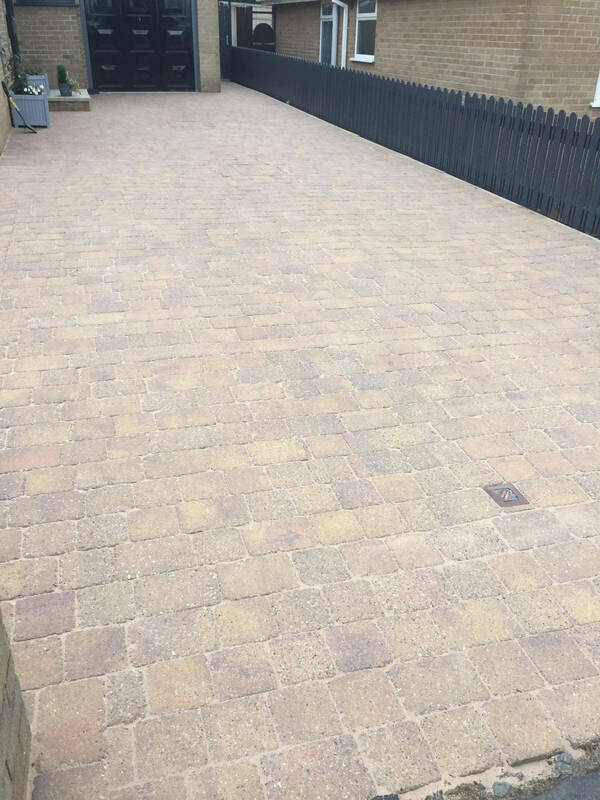 Once dry, kiln dried sand is brushed back into the joints and a jointing stabiliser is applied. 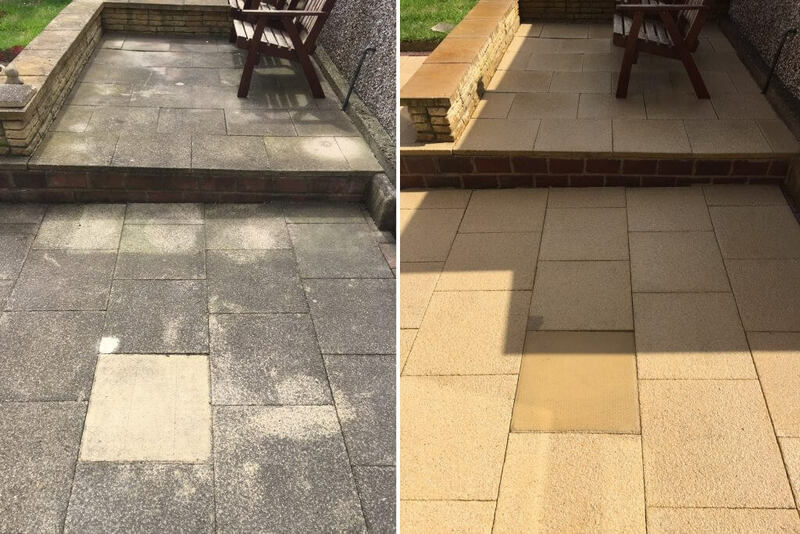 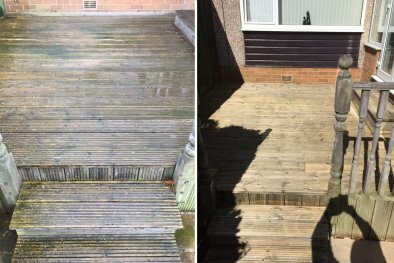 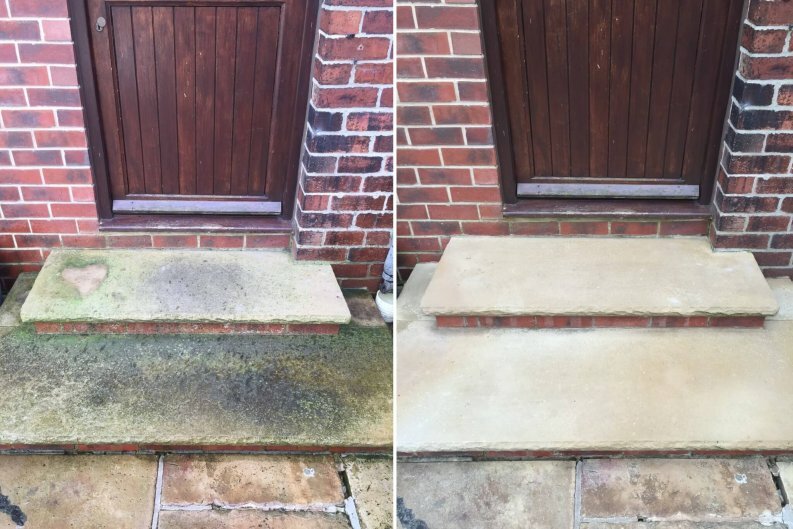 The results are outstanding compared to those you would get from a domestic pressure washer. Please take a look at our gallery of before & after photos. Competitive rates & OAP discounts available.